You have yellow diarrhea and you have lots of questions in your head. Why is it yellow? Should I be worried? Should I go to the doctor? What is causing this? This article has been written to address some of these questions and provide answers because lets face it, when we look into the toilet bowl we expect to see brown whether it is diarrhea or not and seeing another color can be a bit alarming. Normal poop is brown because as it moves through the intestines friendly bacteria work on the bile pigment billirubin which derives from haemaglobin. After a long complicated process a new end product, a pigment called stercobilin, is formed which gives it its brown color. If your poop moves too fast this process does not have time to happen and you end up with yellow poop. So basically yellow is the normal color of poop near the beginning of the process (it starts out greenish) and it needs time to change color. There can be many different reasons why you still have yellow poop when you have a bowel movement. Can stress cause diarrhea ? Well most of us know that it can and just because you have yellow diarrhea it does not mean that you are ill. As we all know anxiety can bring on diarrhea and if the bowels speed up a lot then the diarrhea will be a yellow color as you will be seeing the poop from higher up in the intestines before it has had time to change color. 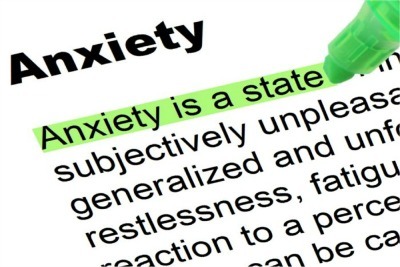 Why do we get diarrhea when we are anxious? Well our bodies learned to react to threats at a time when our ancestors were in danger of being eaten by wild animals and other ancient dangers. When we are threatened our blood is diverted to the muscles and in particular to the legs and arms so that we can either fight or run away. At the same time it diverts blood away from the digestive system and stops it working because it is deemed to be low priority when faced with a life threatening danger. This is called the 'fight or flight' response and it is regulated by the sympathetic nervous system. This system is outside our conscious control. Your bowels stop digesting food and also stop sucking the fluid from your liquid poop back in and firming it up which is one of its jobs. Apparently your body also thinks that emptying your bowels at this precise moment is a good idea so that you will not have to stop mid fight or flight to go! I think this is somewhat of a design fault and would rather have constipation than sudden diarrhea at this moment but this is the model we are stuck with and it often happens, usually preceded by some abdominal pain which is a sign of the bowel contracting strongly. Of course we are no longer confronted with sabre tooth tigers but unfortunately in our modern world our bodies are still on the lookout for dangers and so some people will have annoying nervous systems that interpret as dangers other things like exams, flying, mice (in my case) or just the everyday stresses of our high energy complicated modern lives. So having yellow diarrhea does not always indicate a medical condition but rather a nervous system which is on high alert and perhaps a need to lead a less hectic life or to learn to 'rest and digest'. Which Medical Conditions Cause Yellow Diarrhea? Although we have just been saying that simple stress and anxiety can cause yellow diarrhea it can also be a symptom of some medical conditions. Normally in cases like this the yellow diarrhea would be accompanied by other symptoms which would alert you that you should schedule a visit to the doctor. Read on to find out if you should take further action. This is a mild inherited condition where a lower than normal level of a specific liver enzyme means that bilirubin cannot be processed in normal quantities. Therefore people who have Gilbert's Syndrome have bile that has less bilirubin in it than normal and this can cause yellow poop. As we have already said the brown color of normal poop is caused by the action of bile pigments, sometimes called bile salts. If for some reason the release of bile is decreased or blocked then this color change cannot happen and the result can be yellow stool or poop, sometimes yellow diarrhea or if it is really lacking white poop. A reduction in bile can be caused by different things. If yellow diarrhea is caused by a reduction of bile getting into the digestive system it will be accompanied by other symptoms such as jaundice (yellowing of the skin and whites of the eyes), itching, darkening of the urine, fever, tiredness and weight loss. The pancreas produces enzymes which help to break down fat, protein and carbohydrates. There are a variety of conditions which can either lead to pancreatic insufficiency (not enough pancreatic juice containing the enzymes is secreted) or a blockage in the release of the enzymes into the small intestine. These include tumors of the pancreas or duodenum (the first part of the small intestine just after the stomach), pancreatitis (inflammation of the pancreas), blockage of the pancreatic duct, cystic fibrosis and congenital abnormalities of the pancreas. If you have any of these other symptoms alongside your yellow diarrhea then you should seek medical attention. People with long term conditions like chronic pancreatitis or cystic fibrosis benefit from taking supplemental pancreatic enzymes. There are a few disorders of the stomach and bowel which can cause yellow diarrhea. It can be quite complicated to make a diagnosis as the symptoms can overlap, therefore if you develop yellow diarrhea and you have other symptoms you should see a doctor and have some tests done. However, for an overview of what might be causing your problem read on. People who suffer with IBS-D which is characterized by abdominal pain and frequent bouts of diarrhea often find that their diarrhea is yellow. This is because their bowel although normal is functioning too fast and as we learned earlier, fast poop = yellow poop. When I used to suffer from IBS before I found an answer to my problems (see this article) I would often have yellow diarrhea. I was quite shocked to begin with when I saw the bright yellow color, until I looked back and remembered the teaching from my tutors in nursing school about how the digestive system works. Then I calmed down. For more information see this page 7 Main IBS Symptoms. Celiac disease is an autoimmune disorder where your bodies own immune system attacks the tissues of your small intestine in response to the eating of the gluten containing foods wheat, rye and barley. It usually runs in families but it can be difficult to spot as there are so many different symptoms. It is estimated that 1 in 100 Americans suffer from celiac disease but only about 5% have been diagnosed. Common symptoms include weight loss, abdominal pain, nausea, constipation or diarrhea (often yellow), bloating, tiredness, mouth ulcers and skin rashes. However there are many more. A blood test which picks up antibodies associated with celiac disease will show if further tests are needed. A positive diagnosis will indicate the need for a gluten free diet. 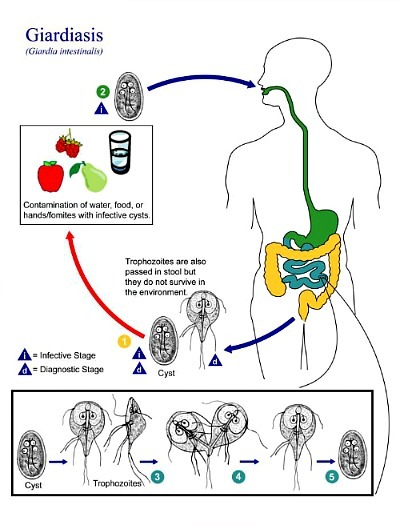 A giardia infection or giardiasis is an intestinal infection caused by ingesting the giardia lamblia parasite. If you come into contact with the poop of a person or animal who is infected or carrying the parasite and you touch your mouth you can transfer the microscopic parasite into your own intestines. 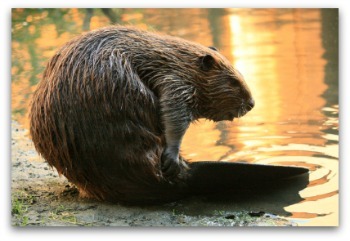 Cattle, deer and beavers are more of a risk than pets. You can also be infected if you drink or swim in contaminated water. This parasite is found in most of the United States and all around the world. The people most at risk are international travelers, campers and hikers and people who swim in untreated water. However, anybody could catch the parasite from infected surfaces or people/animals if they do not practise good hand hygiene. Some people even get infected through sexual practices that put them in contact with feces. Watery, explosive diarrhea which is often yellow and can lead to dehydration. The symptoms normally come on 1-3 weeks after being contaminated and can last up to 6 weeks although unfortunately some people go on to suffer long term problems. Some people do not have any symptoms but can carry the parasite and infect other people. If you have these symptoms you should seek medical attention. This is especially important for babies, young children and pregnant women who are at risk of dehydration. Sometimes diarrhea from giardiasis can be green. In most cases giardiasis can be successfully treated with antibiotics. Does My Baby Have Yellow Diarrhea? Breast fed babies tend to have yellow runny poop and may have a bowel movement after every feed. The baby's bowel has not had time to build up enough friendly bacteria to turn the poop brown. This is normal and does not mean that your baby has a problem. Formula fed babies usually have poop which is firmer and darker, as formula milk is not digested as fully as breastmilk. You may still see a yellowish tinge. So yellow diarrhea-like poop, the color of mustard is completely normal in a breast fed baby but if your baby has other symptoms or you are worried then always see a doctor quickly. For more information about how to tell if your baby has diarrhea please see this article about baby diarrhea. Note that eating lots of food with a yellow/orange coloring can result in yellow poop. Examples are carrots, sweet potatoes, squash/pumpkin and yellow food dye as used in yellow frosting/icing. We have covered some of the main causes of yellow diarrhea but in fact anything which causes you to have intestinal hurry so that your bowels move much more quickly than normal can result in your poop looking yellow. If you are suddenly experiencing yellow diarrhea which does not clear up in a few days or you have other symptoms as well then always see a doctor for more advice. DiarrheaNurse hopes that you are soon feeling well again and that the information on this page has helped you think about what may be causing your problem. However, yellow diarrhea can be caused by many different things so if your symptoms do not clear up quickly, face to face help and testing from a medical professional may be needed. Diarrhea After Eating - The Causes.